Tobago is the perfect combination of adventure and relaxation. Here, you can relax on a deck chair with a couple of drinks or be as audacious as you like with a range of activities to suit the entire group including hiking in rainforests, diving fantastic sites and visiting nature reserves and stunning aquamarine bays, the choice is yours. Tobago offers world-class diving in the Caribbean with unique and pristine aquatic conditions creating unforgettable diving experiences around this exclusive location. Tobago is home to over 400 different species of fish and sea creatures and an array of beautiful reefs as well as the largest recorded brain coral in the world. 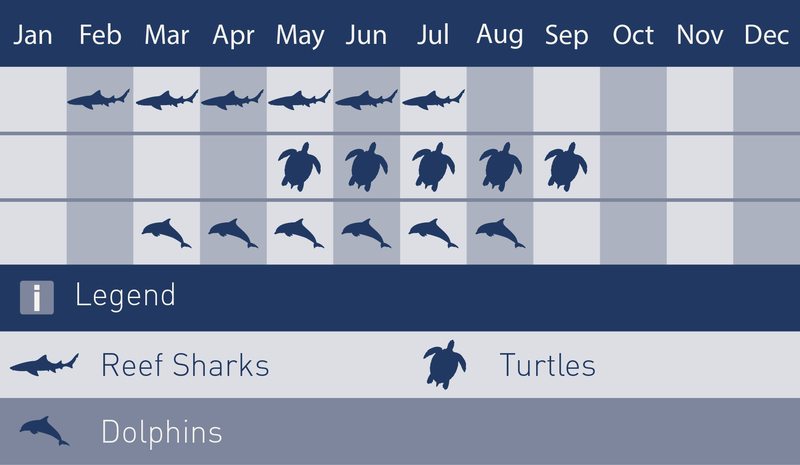 The presence of currents on most dives brings nutrient-rich waters where you will have encounters with an impressive array of marine life including sharks, turtles, schools of jackfish, tarpon and other pelagic fish preying on plankton or smaller fish. 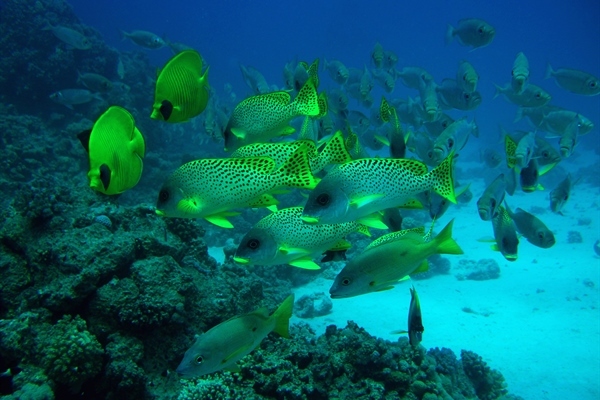 The main scuba diving areas are based on both the Caribbean and the Atlantic side of the island. 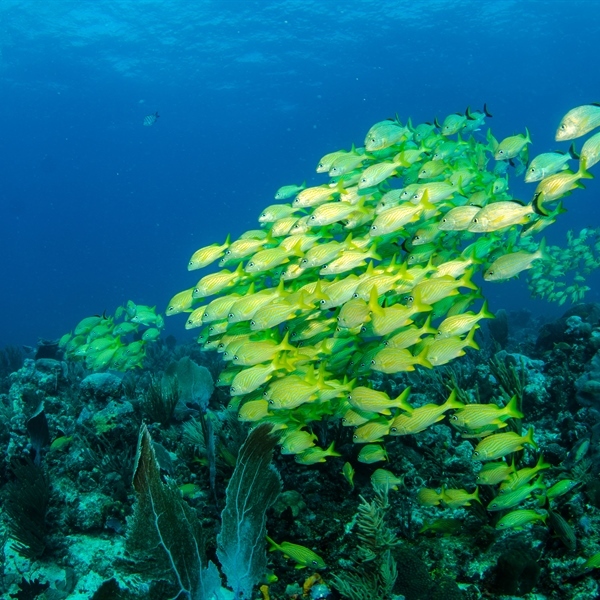 Most of the dive sites along the Caribbean Coast are not exposed to the strong currents that characterise the diving along the Atlantic Coast. 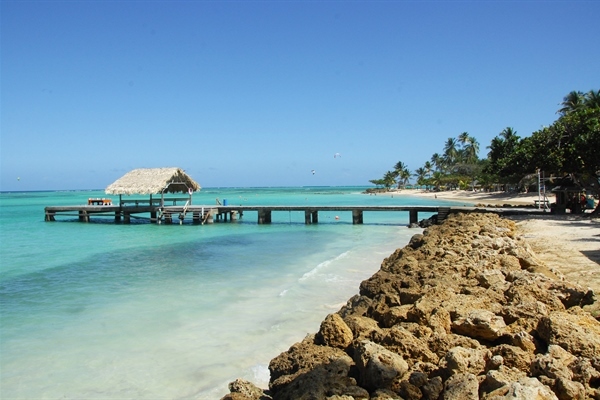 Group trip to Tobago staying 7 nights at the Toucan Inn with 5 days Diving with R&SeaDivers. Tobago's first and only cocoa heritage park overlooking the Atlantic Ocean is specialized in the production of tasty chocolate. Drive along the scenic Atlantic coast to Speyside where you will board a glass bottom boat over to the island of Little Tobago. Explore the fascinating landscape and most beautiful beaches as we take you on a relaxing coast-to-coast tour of Tobago. Tobago offers the perfect combination of adventure and relaxation. Here, you can relax on a deck chair with a couple of drinks or be as audacious as you like with a range of activities to suit the entire family including hiking in rainforests, diving fantastic sites and visiting nature reserves and stunning aquamarine bays, the choice is yours. Tobago is also famous for its magnificent street parties throughout the year. Carnival, Harvest and Culinary Festival, goat & crab racing during Easter, kite flying at Christmas and dragon boat race are just some of the annual events that take place on the island. The road infrastructure in Tobago allows for easy navigation around the 8 miles wide by 26 miles long island. The infrastructure is still uncrowded, something that could change within a few years as the local government invests more and more on tourism marketing. The evening activities will depend on where you are on the island. If you choose Speyside on the north east of Tobago for your diving adventure, the evening will be quiet and relaxing. If Crown Point on the south west of the Tobago is your choice then a number of local bars and hotel restaurants are available and some till very late in the evening. In Tobago, you can eat delicious food from as little as £3.00 per person on one of the local food stalls in Crown Point or you can choose to go to a more extravagant and luxurious hotel restaurant for some great food. In between, on the south of the island there are also a number of restaurants offering a range of chicken, beef and fresh fish dishes with tasteful Caribbean vegetables and fruit sides costing around £15.00 per person. Maverick Wreck, a passenger and cargo ferry that travelled between Tobago and Trinidad was scuttled by the Association of Tobago Dive Operators in 1997 and now sits upright on a sandy sea bed at a depth of 30 metres on the Caribbean side of the island, making a great dive for advanced divers and photography lovers. One of the highlights of this dive is the massive two metre resident barracuda which can be found within the pilot house or above the smoke stack. 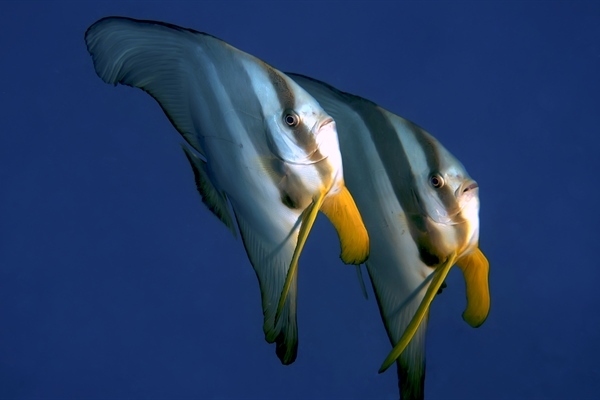 Maverick is also home to moray eels, grunts, spiny lobsters, teardrop snappers, Atlantic spadefish and much more. 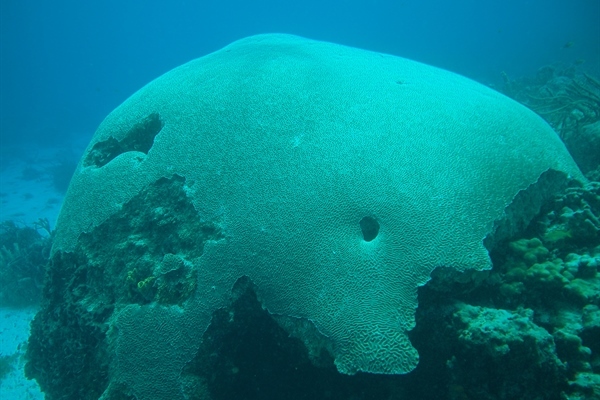 Coral Gardens in Speyside is a major attraction for divers due to the giant boulder brain coral measuring 4.5 metres tall and 6 metres wide that can be seen on this gentle slopping reef. 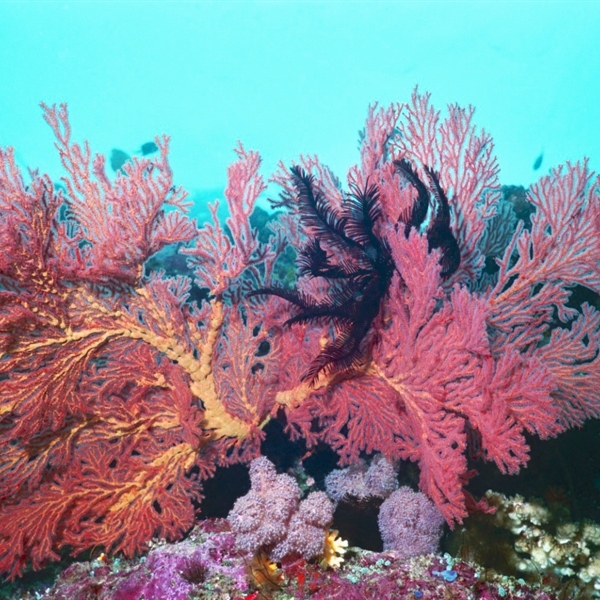 Coral Gardens is also covered with gorgonians, black and slit-pore sea rods and you can find massive schools of blue striped and French grunts, cottonwick and the occasional nurse shark. Marble Island is the perfect spot to find hawksbill turtles, tarpon fish and spotted eagle rays. Located 400 metres north of St Giles Island, the 2 rocks that make up Marble Island have a strong presence of currents that are caused by the convergence of the Atlantic Ocean and the Caribbean Sea giving divers ideal diving conditions and interesting encounters. Don’t forget to take your camera as this could always be “the dive” where you come up close and personal with a majestic and gentle manta ray. Against typhoid, tetanus, hepatitis A and polio its recommend. In general, in this part of the world you’re not expected to tip but as anywhere else in the world, even if it is not expected, a small tip is appreciated. No visa required for British passport holders. Passport must have six months valid from the date of return. Departing from Heathrow to Tobago via New York. 21 hours and 20 minutes in average. The transfer from the airport to the hotel Shepherd's Inn takes about 10 minutes. The transfer from the airport to the Coco Reef Tobago takes approximately 5 minutes. Airport transfers from Blue Water Inn takes approximately 1 hour and 20 minutes from Crown Point. Tobago offers excellent diving conditions year round with a range of dive sites to satisfy both experienced and new divers. The visibility ranges from 15 to 50 metres depending on how strong the currents are. Water temperature stays around 27 and 28 ℃ year round. Book 6 rooms (minimum 12 Pax) and get one additional room free of charge on the same meal / dive plan basis. Cannot be combined with the Early Booking Discount. Maximum of 2 complimentary rooms per group. Book 6 rooms and get one additional free. Travel period from 05/01/2018 to 20/12/2018 and get 20% discount off our Dive Package rates. Offer subject to space availability and can be withdrawn at any time in writing with 24 hours’ notice to affect changes. Offer rates cannot be combined with any other special offer unless indicated. Save 20 % on Dive Package.